Covering fishing’s conservation issues for 30 years, Robert U. Montgomery has told the stories, others can’t or won’t, to preserve and protect the outdoors for future generations. High school English/journalism teacher dabbling as a freelancer, Montgomery cranked out articles and sent them to every editor. In 1982, Southern Outdoors Magazine’s Dave Precht was the first major editor to take interest. Montgomery’s inaugural article about noodling for catfish, which today is a reality show fascination, which was illegal in many areas. Montgomery’s flair for taking a story and introducing the characters involved came through as he recounted noodler encounters with snakes and snapping turtles. In 1985 Precht asked Montgomery to be Senior/Writer Conservation for B.A.S.S. Publications and he became the first and only conservation writer in the company’s history. Bassmaster Magazine articles covered the stuff outdoor writers refer as “hooks and bullets”, the technical side of fishing involving techniques and tackle. While writing hotdogs reported on pro bass fishing events to come up with 10 new ways to do this or that, Montgomery was on the cutting edge of the sport’s growth, covering women’s pro bass tournaments and kid’s events. 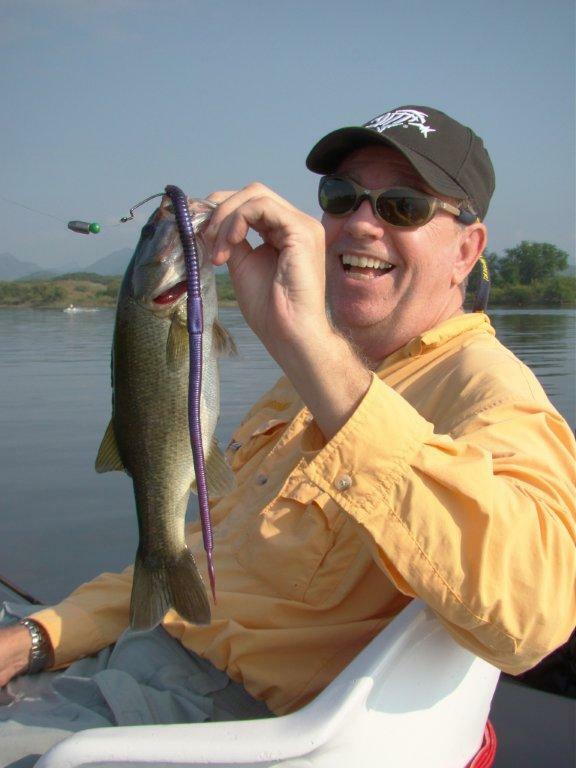 Making waves a few years ago he got under ESPN’s skin, then owner of BASSMASTER publications. Montgomery revealed government overreach into saltwater and inshore fishing opportunities. When exposing President Obama’s willingness, and worse ableness to restrict fishing opportunities, the controversy reached epic proportions. Montgomery fired up his politically blind keyboard. “I’ve been accused of working for the DNC and being an apologist for Bush. When it comes to the resource there is no left and right, just protecting the resource and our water.” Conservative blogger Matt Drudge posted the big brother game warden revelations. Former Watergate burglar Gordon Liddy invited Montgomery on his syndicated radio program to discuss the Government’s fishing heritage erosion, closing ocean waters, zoning the use of waters and ultimately privatizing public waters. Winning many awards, even from the Department of the Interior, Montgomery commends his current B.A.S.S. colleagues and management for being committed to fishing issues. While mostly writing about fish, fishing or heritage preservation, Montgomery’s most recent effort reaches a broader audience. 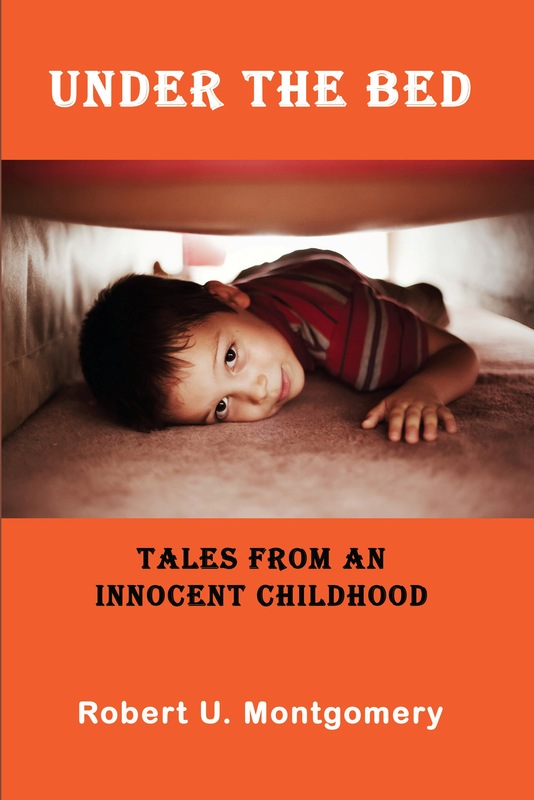 A softer non-fishy side of Montgomery is revealed in his latest collaborative book, Under the Bed: Tales from an Innocent Childhood on Amazon. Baby Boomers growing up, relying on humor, taking family vacations in a woody station wagon, fishing in leaky wooden rowboats, and watching black and white TV tell their tales of life during simpler times. Those in the fishing business, anglers and everyone who enjoys the outdoors, owe a big thanks to Montgomery. “What could be more American than fishing? A kid on the bank of a river with a cane pole in his hand. A lot of people want to keep that kid away from the water and catching that fish…some think I am a conspiracy theorist.” It’s only a conspiracy if you have to investigate. Here’s looking to 30 more years from Montgomery. True winter fishing. Fish are relating to drops close to shallow water in out of the current areas. Use Silver Buddy lures on 10-pound test GAMMA Edge fluorocarbon and burp down drops. Make short movements to work increments of the drop. Also use Mann’s Stingray grubs and Mizmo 4-inch grubs on ¼ ounce jig heads on the same line. Quantum EXO spinning reels are perfect for light line presentations.